Precious metals futures declined on Monday, trimming April gains for silver and palladium and adding to monthly losses for gold and platinum. Gold for June delivery shed $4.20, or 0.3%, to settle at $1,319.20 an ounce on the Comex division of the New York Mercantile Exchange. "Gold has been under selling pressure as the U.S. dollar firmed up and geopolitical risks abated," Reuters quoted Bart Melek, head of commodity strategy at TD Securities. Gold futures slipped 0.6% in April after rising 0.7% in March. Gold scored its highest settlement of the month on the 11th at $1,360 an ounce. The yellow metal is 0.8% higher than its 2017 finish at $1,309.30 an ounce. Elsewhere, silver for July delivery declined 9.6 cents, or 0.6%, to finish at $16.401 an ounce. They ended 0.8% higher on the month after sliding 0.9% last month and sinking 4.8% in February. Silver posted its best close in April on the 18th at $17.248 an ounce, which marked a three-month high. Silver prices are down 4.3% on the year to date. July platinum lost $12, or 1.3%, to $904.40 an ounce, for a 3% monthly decline. Palladium for June delivery fell $2.45, or 0.3%, to $960.55 an ounce, but advanced 1.8% in April. The two metals are lower on the year with losses of 3.6% for platinum and 9.5% for palladium. 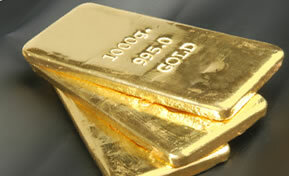 Gold declined $8.30, or 0.6%, to $1,313.20 an ounce. Silver fell 15 cents, or 0.9%, to $16.38 an ounce. Platinum declined $6, or 0.7%, to $905 an ounce. Palladium fell $20, or 2%, to $963 an ounce. In LBMA results for April, silver rose 0.6% while the others logged losses reaching 0.8% for gold, 3.3% for platinum, and 0.7% for palladium. American Eagle gold coins in April reached 4,500 ounces, rising 28.6% from the 3,500 ounces sold in March but slipping 25% from April 2017 when sales hit 6,000 ounces. Year to date, sales at 72,000 ounces are 58.1% lower than the 172,000 ounces moved during the first four months of last year. American Eagle silver coins reached 915,000 ounces in April, matching their sales in March. The total is 9.6% higher than the 835,000 ounces moved in April of last year. 2018 Silver Eagle sales at 6,007,500 are 31.7% lower than the 8,792,500 coins sold through the same time in 2017. American Buffalo gold coins increased by 2,000 ounces for the month after a March total of 1,000 ounces. Year to date sales at 30,500 ounces are 48.3% lower than the 59,000 ounces moved during the January to April period of last year. American Eagle platinum coins reached 20,000 ounces in their February release month, matching the amount sold in years 2016 and 2017. The U.S. Mint has reported no additional sales since February. America the Beautiful Five Ounce Silver Bullion Coins rose in April by 30,000 coins or 150,000 ounces after rising by 10,000 coins or 50,000 ounces in March. All sales in April resulted from Wisconsin’s Apostle Islands National Lakeshore silver coin, which launched on April 16 as the second 5 ounce release of this year. This year’s first 5 ounce coin celebrates Michigan’s Pictured Rocks National Lakeshore. It logged combined sales in February and April of 30,000 coins or 150,000 ounces. The two 2018 coins have combined sales so far of 60,000 units or 300,000 ounces. Last year’s first two 5-ounce bullion coins registered combined sales through April of 38,200 coins or 191,000 ounces. This BLOG appears to be wilting away…..the verify requierment & eye test cannot help… really management! >>? Why pay more, when you can buy *platinum & *silver for less.